Should I keep my big, old sofa or replace it? Philip’s old Mitchell Gold sofa, updated with a washable white slipcover, is ready to move to his new place. Should I keep my big, old sofa or replace it? That’s the question most of us ask when we are planning a move or redecorating. It can be a tough decision especially if you still love the comfort and size of your sofa but hate the worn, outdated upholstery or slipcover. Frame is still strong and stable. Seat cushion inserts are still comfortable and show little compression. Size and style still works well for your lifestyle and space. You can get at a least 3 to 5 more years use out of it. The cost of moving your sofa and/or updating it with a slipcover, or new upholstery, is more affordable than buying a new piece of similar quality. For my customer, Philip, the answer was keep the sofa and update it with a new slipcover in washable, heavy weight white denim. It no longer feels comfortable. You have to spend money on fixing springs, replacing foam cushion inserts, repairing wobbly legs, etc. Repairs and cushion replacements are costly. It’s been exposed to water damage, doesn’t dry out and develops mold inside. Now were talking health hazard. The size and style no longer suit your needs. 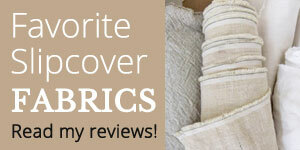 Updating it with a new slipcover, or upholstery, costs more than buying a brand new piece of same quality and size. This is usually the case for large sectionals. Still on the fence about keeping your sofa? Make a list of pros and cons of keeping it vs. replacing it. Compare the costs between having it moved, updated with a slipcover or upholstery and replaced with a brand new piece. Consider space planning, sentimental value, budget, lifestyle and long term use. This entry was posted in denim slipcovers, slipcover copy, sofa slipcovers and tagged white slipcovers on October 15, 2017 by slipcovermaker.